Coordinators are on the front lines of campus recreation departments across North America; those individuals who develop programs or champion campus initiatives know it can be tricky not to get stuck in a rut. But Marketing and Recreation Coordinator Amanda Gill and her team at Southern Alberta Institute of Technology in Calgary are constantly working to build the buzz for healthy people and healthy communities. This past winter, Amanda and her team brought their creativity to bear on one special event in particular. Looking to change things up from past years, Amanda decided to turn off the lights. 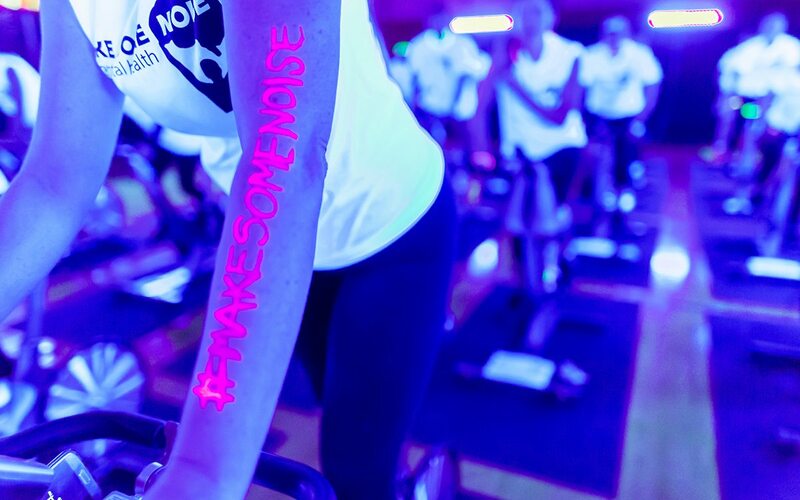 On January 22, the Athletics and Recreation Department at the Calgary-based SAIT hosted a glow-in-the-dark DJ spin class as part of its ongoing and award-winning Make Some Noise for Mental Health campaign. The campaign—which is also endorsed by the Canadian Mental Health Association (CMHA)—has been around for four years and is designed to break the stigma surrounding mental health on campus. It was celebrated by the broader community, earning the SAIT Trojans the Canadian Collegiate Athletic Association (CCAA) Community Service Award in 2015 and the Lieutenant Governor’s Circle of Mental Health ‘True Imagination’ Award in 2016. According to the Canadian Mental Health Association, exercise is good for mental health, helps to reduce muscle tension, improves blood flow, and floods your body with feel-good chemicals. Exercise has also been positively tied to academic outcomes, as the 2016 North Carolina State University study cited in an Inside Higher Ed article which shows that “for every hour that student’s exercise, their odds of graduating (or returning the following year) increased by 50 percent.” And students had higher grade point averages when they exercised more, even in small amounts. “For every one-hour increase in weekly physical activities, researchers found, students’ GPA went up .06” on a 4.0 scale. 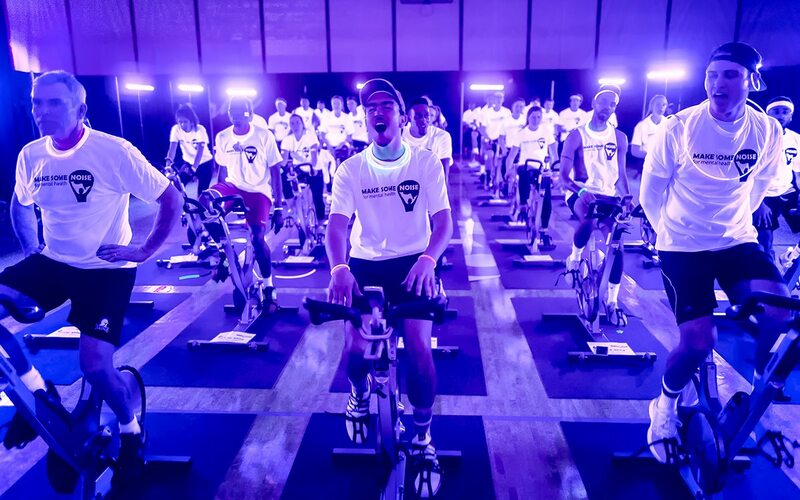 Amanda’s recreation team has hosted a spin event associated with the campaign for the past three years. The first event in 2016 consisted of a 20-person, hour-long spin class with a live DJ spinning tunes inside SAIT’s main hub, the Irene Lewis Atrium, during class hours. It served as just one of many events during a full week of events—each designed to make as much noise as possible—dedicated to raising mental health awareness. Other events included a mobile per-rally with students walking all over campus ringing cowbells and banging on drums, and Trojans basketball, volleyball, and hockey games where fans take part in of a myriad of events. 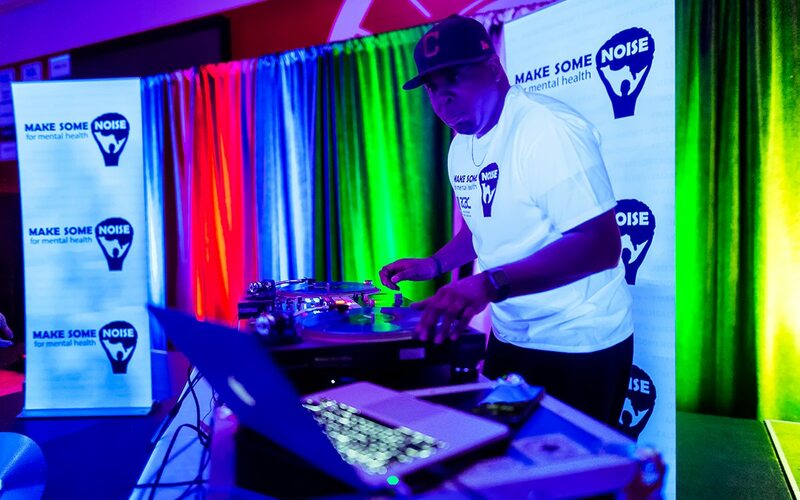 The spin event was chosen by Athletics and Recreation due to its popularity and its compatibility with a live DJ. Amanda jokingly refers to it as a ‘party on a bike.’ In reality, though, spin is considered a fantastic form of exercise that is broadly accessible, which was key in their planning. In January of 2017, Amanda rolled out 100 bikes to help commemorate the post-secondary’s centennial celebration. Trojan student-athletes—as well as local celebrities, community members, and mental health advocates—were among those who got their sweat on during the massive event held once again inside the atrium. With her focus on keeping things fresh, Amanda moved this year’s ‘party’ into SAIT’s Campus Centre Gymnasium and went dark. 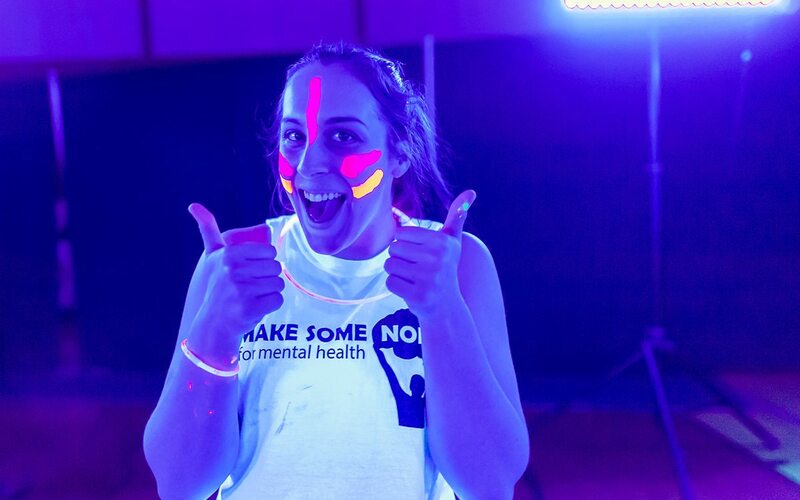 Participants proudly donned white Make Some Noise for Mental Health T-shirts that were illuminated by black lights, and glow-stick necklaces and bracelets along with, seemingly, buckets of glow-in-the-dark body paint applied to faces, arms, and legs. Again, Amanda’s idea was to ‘create a scene,’ and with two separate viewing areas outside the gym looking in, they did just that. Bystanders were able to peek into the gym through the windows, resulting in photos being taken and a myriad of social media posts that expressed jealousy about having to go to class instead of being able to take part in the event. The change to the lighting was not the only major change that was made this time around. The number of bikes was scaled back down to 40, but instead of one class, they had four, ending with 160 total participants ranging from Trojan student athletes and staff to local celebrities, community members, and mental health advocates. For more information about the Athletics and Recreation Department at the Southern Alberta Institute of Technology in Calgary, please contact Budd Brazier, SAIT’s Manager of Recreation and Operations. If you are interested in highlighting your campus or a NIRSA member’s achievements on your campus, pitch us your ideas. Brody Mark is currently the Southern Alberta Institute of Technology Media Consultant.